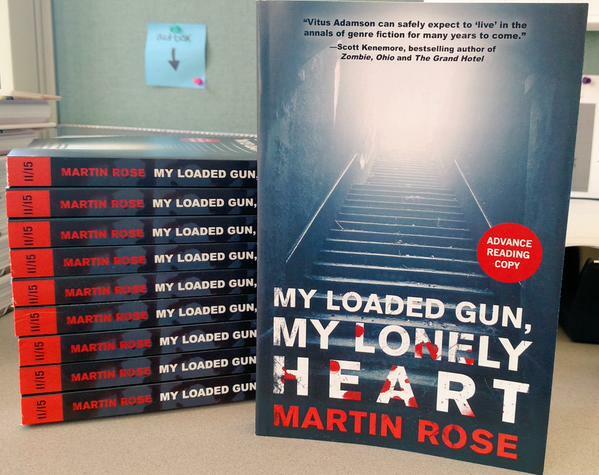 ARCs for My Loaded Gun, My Lonely Heart En Route . . .
My wonderful editor Nicole Frail posted a pic on twitter of incoming ARCs. Let’s walk into the light, shall we? Vitus returns this November in My Loaded Gun, My Lonely Heart.